There is no newly added SSBR capacity in China in 2018. LOTTE Versalis Elastomers puts the SSBR unit into production and will export more goods to China. Thus, China’s import dependence degree will not decrease. The number of tire enterprises who implement the tire labelling regulations voluntarily is increasing. Besides, the EU may adopt new tire labelling regulations in 2020. Thus, China’s SSBR market will be greatly impacted. Meanwhile, China starts to develop functional SSBR, indicating that the R&D on SSBR will reach a new stage. Will the newly added large-scale ethylene units be matched with SSBR units? Will the import dependence degree decrease against the R&D on new SSBR grades? Or will the degree increase with the development of high-performance tires? Will the U.S.-China trade spat influence the consumption of SSBR? 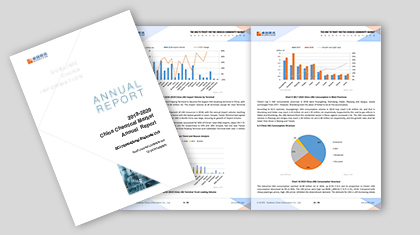 With 14-year’s accumulated data and advanced methodology, the report will clearly show the development of China’s SSBR industry and provide in-depth analysis. The report emphasizes the supply-demand pattern changes. The market changes and risks will be presented by virtue of various data including price, capacity, output, operating rate, consumption, technology progress, etc. 1. The supply-demand pattern in the past 5 years will be analyzed in detail. 2. The R&D on new SSBR grades will be tracked. 3. The progress of China’s tire labelling regulations will be presented to evaluate the prospect. 4. The outlook for the influence of new EU’s tire labelling regulations on China’s SSBR market will be shown.